It was a very nice Apartment with everything you need for a very nice holiday. Ann and Nadine were very nice and helpful with everything. They answered very quick and arrange everything you need. It was very spacious and clean. The cleaning service also worked very well for us. I would definitely recommend this apartment and we will book it again for our next stay in Sal. Further you have everything around and the pools were very nice. Also the beach with those comfortable sun beds. The reception also helped with everything you need and the staff were very friendly. We had no problems at all with paying cash at the bars and the prices were really OK for a 5 star resort. Nice, clean penthouse apartment with lots of swimming pools and nice gardens in the (huge) complex. Well equipped with AC, balcony and roof terrace. Beach nearby; recommend beach bar at Ponta Preta (20mins walk). The staff was really friendly and helpful. Restaurant Spicy was amazing. 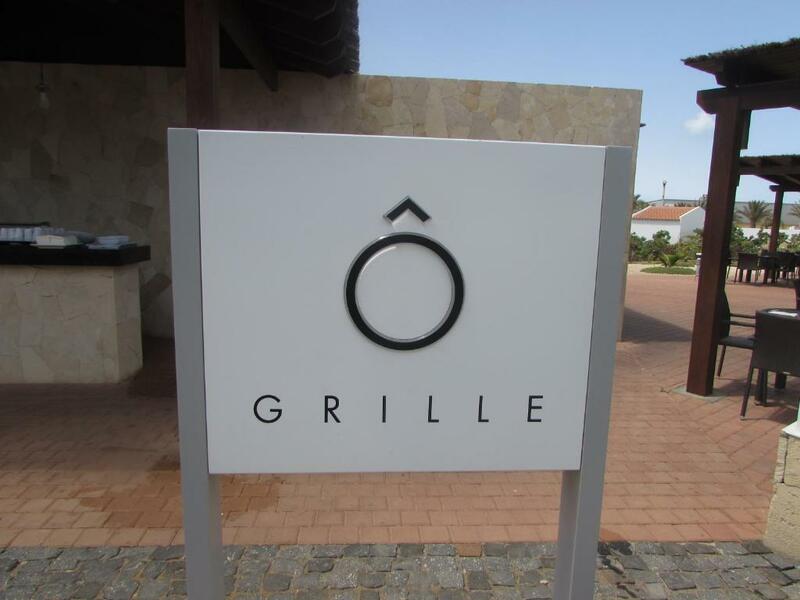 Eten kon alleen op het resort voor hoge prijzen. Dit omdat het eigenlijk alleen op all-inclusive mikt. De supermarkt is in Santa Maria en daar is weinig te krijgen en je moet er met de taxi heen, voor 3 euro. 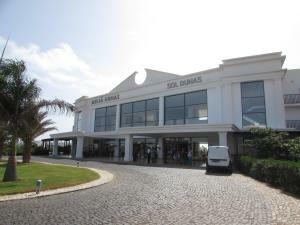 Lock in a great price for Dunas Beach Resort Apartment (4089) - rated 8.2 by recent guests. 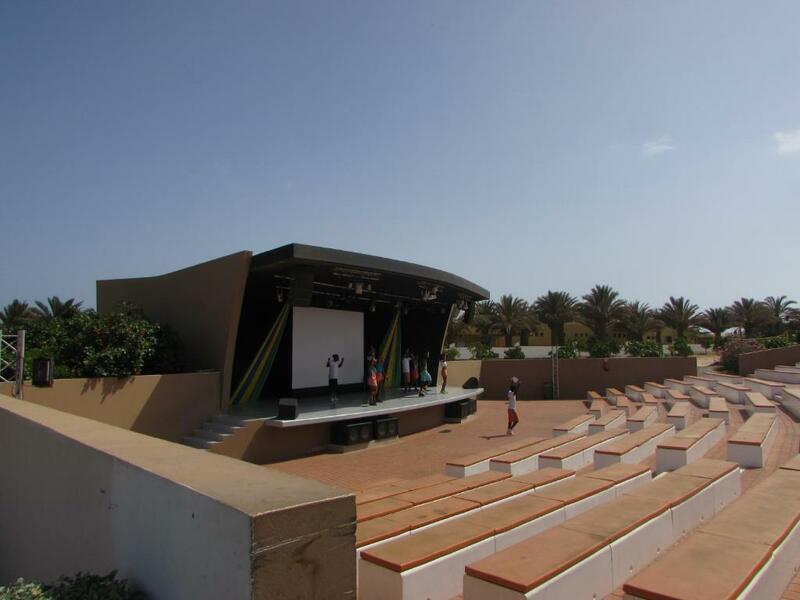 Boasting air-conditioned accommodation with a terrace, Dunas Beach Resort Apartment (4089) is set in Santa Maria. Situated 1.9 miles from Parish of Our Lady of Sorrows, the property features a private beach area and free WiFi. This apartment features a kitchen, a flat-screen TV, a seating area and 1 bathroom. With staff speaking English, Spanish and Italian, round-the-clock advice is available at the reception. The property has a fitness centre. Guests at Dunas Beach Resort Apartment (4089) can enjoy snorkelling nearby, or make the most of the outdoor pool. Viveiro, Botanical Garden & Zoo di Terra is 2 miles from the accommodation, while Nazarene Church is 2 miles from the property. Dunas Beach Resort Apartment (4089) has been welcoming Booking.com guests since 14 Oct 2015. When would you like to stay at Dunas Beach Resort Apartment (4089)? This apartment has a sofa, view and toaster. 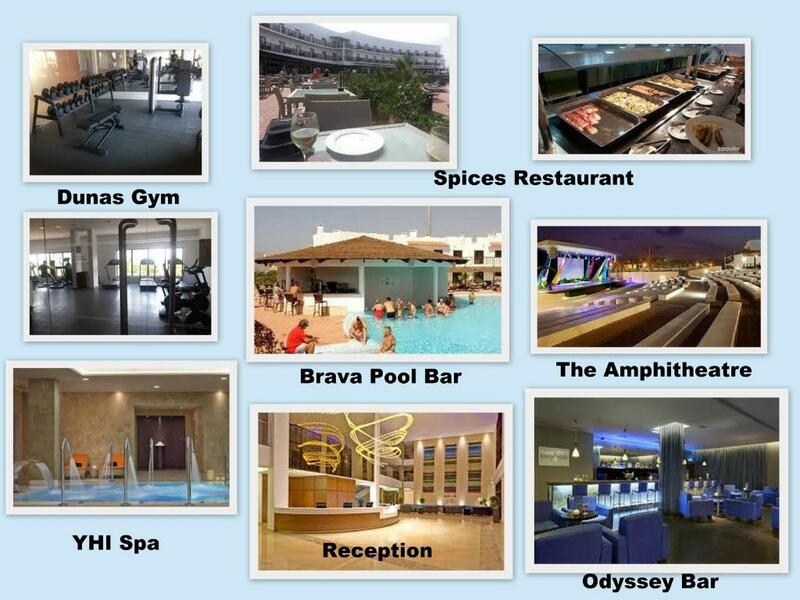 Affordable privately managed self catering apartments and villas on Dunas Beach Resort. Guests can enjoy the benefits of relaxing around one of 7 pools during the day and then of an evening (if you wish) dining out in Santa Maria, just a short taxi ride away (3E day/ 4E night). Guests can if they wish upgrade to all inclusive when they check in. Just ask at Reception. Subject to availability. Upon check in you will receive your wristband allowing you to buy food/drinks on site. We recommend guests take our taxi service from the airport to the resort (25 minutes), our private driver will have your key for access to your room you pay the driver directly 15E day & 20E evening. Larger parties should ask for a quote beforehand. We advise all our guests who are self catering to go to Cazu supermarket in town shortly after arrival (hours 8am – 7pm Monday – Saturday) and stock up on your basic essentials to keep you going. Wifi is available on site in the hotel area however you can purchase wifi credit for all devices from Unitel in town from as little as 10E. There are many bars, shops & restaurants in town. Please note the room rate charged does not include cleaning. 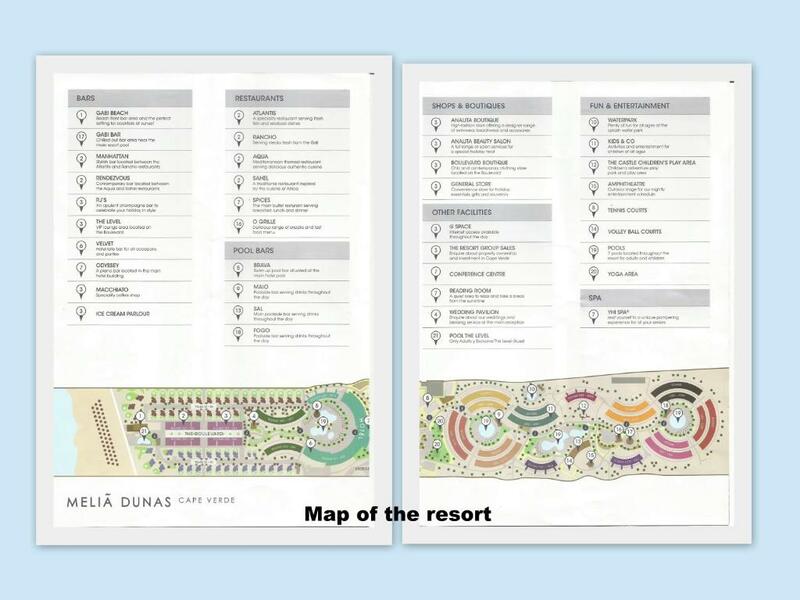 House rules Dunas Beach Resort Apartment (4089) takes special requests - add in the next step! Dunas Beach Resort Apartment (4089) accepts these cards and reserves the right to temporarily hold an amount prior to arrival. A damage deposit of CVE 10000 is required upon arrival. That's about 78.01GBP. This deposit is fully refundable upon check out as long as there has been no damage to the property. 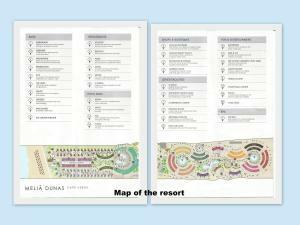 Please inform Dunas Beach Resort Apartment (4089) in advance of your expected arrival time. You can use the Special Requests box when booking, or contact the property directly with the contact details provided in your confirmation. What we missed were proper blankets on the bed. We just had sheets/linen - I mean it is enough, because its warm in Sal and you don't need a thick blanket. But I am that kind of type who cannot sleep that well without a proper blanket. But the bed was very comfortable and we had a good sleep overall. The music in front of the apartment (on the balcony side) was very loud and annoying. But it is still an AI resort, so you have to deal with that. But it stops around 22.00 pm. So it was ok. The incessant and often very loud music played by the pool. The property overlooks the pool and it is a lovely outlook from the balcony, but from 9.30am until around 10.00pm there is constant music. At some points the music was unbearably loud (and I say this as someone who went out clubbing on one of the nights in Cape Verde). The wine in the hotel was awful. The general store on site had very little in the way of food in it (really only water and chocolate bars) so a trip to Santa Maria was required for food items (3 euros each way during the day, 5 euros at night). A lot of the staff were not equipped to answer queries relating to self catering guests which became tiring. There was a requirement to empty the bins in the property at the end of the stay on pain of a fine for failure to comply. Heaven knows why they think asking guests to take their bins out on holiday is a good idea. A taxi was arranged to pick us up at the airport (15 euros) as standard. The property is a self catering apartment in an all-inclusive resort. The room was clean. Most of the 'basic' items you require in a self-catering property were available on arrival but several had to be purchased (hand wash, washing up liquid, sponges, extra toilet rolls). A bottle of water was provided. The property looks as though it would comfortably cope with four people (we were just two) so had plenty of space. We used the sun loungers on the roof a lot (we wanted to avoid the children around the swimming pools). There were a number of swimming pools which always seemed to have enough sun loungers. We paid to go all-inclusive for one day (75 euros). This ended up being a bit of a hassle as we were told we could only do this on the last full day (which we didn't want to do as we wanted to take full advantage of the alcohol!) Basically the hotel's argument was that people pay to upgrade for the day and then don't return their wristbands and get free food/drink for the rest of the holiday. It took some persuading (and speaking to three people) to convince them that we would return our wristbands. Eventually the deal was done but it took about 40 minutes! And we of course returned the wristbands 24 hours later. The breakfast and lunch both at Spices were acceptable but not great. The dinner at the Mediterranean Grill was better albeit my food was tepid upon arrival. We basically went all-inclusive for the alcohol. And there was plenty of that. 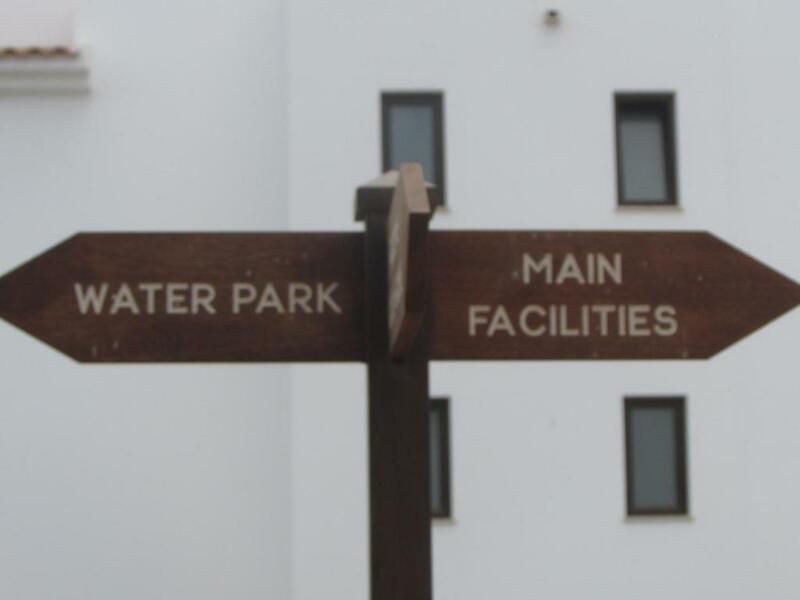 The resort had tennis courts, a gym, spa and other amenities. We didn't leave the sun loungers long enough to try them though! Santa Maria has lots of bars and restaurants and we spent a lot of time there. Restaurants expensive and poor quality - for some reason you have to book a table in advance for most of them. 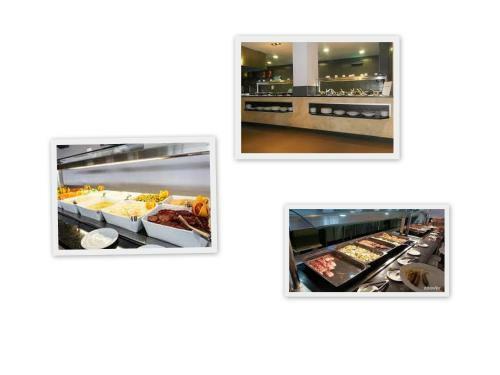 2 buffets you can just turn up at, we asked at Spices and we’re told that it was €50pp - didn’t bother! Only ate in twice, the rest of the time in Santa Maria (taxi €3) where there is a reasonable selection. Almost everyone seems to be all inclusive and the restaurants a bit confused by s/c guests - often can’t find a menu with prices. Incessant low grade euro-pop played around pools along with regular “entertainment” (mostly in french) from the staff - all very irritating! Be nice if they’d included some w/up liquid, cloths and washing powder (for washing machine). Instructions in apartment clear but Staff at enquiries desk a bit confused about details eg. What to do with rubbish, where to leave keys at end - often contradict instructions. No recycling. As we were self catering it was a nightmare to charge anything to our room via the hotel which we were told by reception we were able to. The staff looked like they didn't know how to use the machine or said it was broken which is very annoying when you want a drink around the pool. Also breakfast is €25 per person per day & buffet dinner same or €50 per person per day (very expensive) Apartment was great but hotel facilities let it down massively. Also wide cats outside like to try to get in apartment and bite. The penthouse apartman was seperate from the hotel. We booked an accomodation at booking.com because we thought we get every facilities what we have read on booking's site. There was no cleaning, towels, toilet paper etc. In a 4Stars Hotel it's must have, it doesn't matter it's separate or they have to write it before the guests book the accomodation. 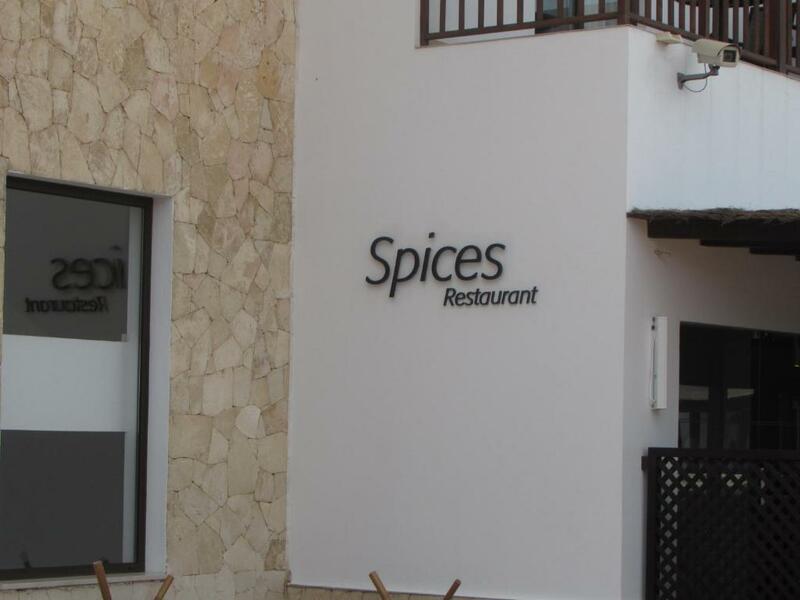 You HAVE TO pay for all inclusive or you can't eat most of the restaurant because they don't know the food's price or you have to pay much more. But if you pay for all inclusive, you can eat one side of the hotel (about 4 restaurants, in the other 4,you have to pay again) They send information after the booking but didn't tell that there's a free Tui transfer to the hotel, instead of they send a taxi.